(NaturalNews) As someone who routinely considers the future ramifications of present-day trends, I'm always astonished when people are reluctant to acknowledge obvious trends. 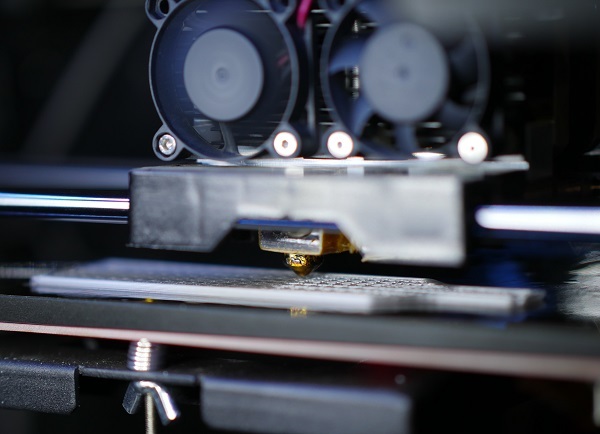 As I have begun to share here on Natural News in recent articles, 3D printing is rapidly taking shape as a revolutionary technology for liberty and freedom, but relatively few people are able to see that yet. I see the implications of 3D printing revolution as clear as day, and over the last several months I've taken it upon myself to become extremely well-versed in a 3D design software product called Solidworks from Dassault Systems (www.Solidworks.com). I've also purchased four 3D printers (so far), printed hundreds of objects and tested nearly every filament available today. In just a few short weeks, I'll be unveiling breakthrough new technology on www.FoodRising.com that will be freely distributed as downloadable files that people can print on their own 3D printers. This effort combines open source grassroots file sharing with revolutionary self-reliance "low tech" technology that will be widely embraced and shared all around the world. As this is all taking shape, there are still some people who just don't get it. They think 3D printing is a "gimmick" that can only be used to print holiday decorations and cookie cutters. What they don't yet realize is that people like Cody Wilson have already successfully designed and shared functional firearms receivers that can fire live ammo (www.DefDist.org). This is not a gimmick. In fact, it was taken so seriously that top federal officials in the U.S. government freaked out and threatened Defense Distributed with criminal prosecutions. Here's what else people don't yet understand: What I'm about to release are functional 3D printable inventions that have never existed before on our planet. 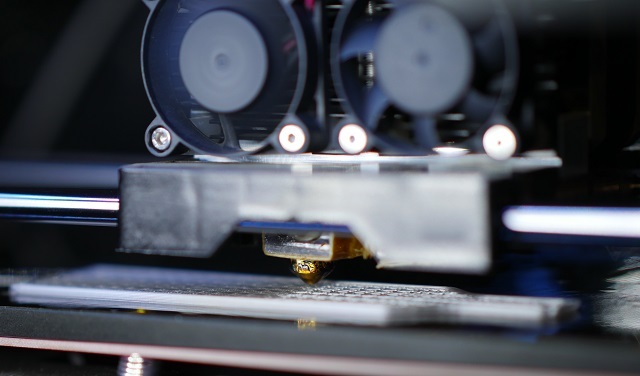 These are unique devices based on innovative geometry that can only be printed via an additive manufacturing technology such as 3D printing -- a technology that builds layer upon layer in a vertical Z-axis arrangement. The resulting parts that I'm about to release can be assembled and used in non-electric systems that create astonishing abundance without using any motors, gears or electricity. Sign up at www.FoodRising.org to receive the official announcements which will start rolling out mid-February, according to the current schedule. The reason I mention all this is because the AFP wire service recently put out a fascinating story entitled 3D printing could revolutionise war and foreign policy. 3D printing will revolutionise war and foreign policy, say experts, not only by making possible incredible new designs but by turning the defence industry -- and possibly the entire global economy -- on its head. What this is referring to is the ability of soldiers on the battlefield to use frontline additive manufacturing units to churn out the physical objects they need to fight the war. Replace the word "soldiers" with "revolutionaries" and you come to realize just how much 3D printing might also be used everywhere around the world to put practical objects into the hands of people who are tied to a decentralized, distributed network (for good or bad, depending on the group). The implications in medicine, agriculture, security, exports and manufacturing are enormous. This will even heavily impact retail establishments like Wal-Mart. But let's step back from war for a minute and think about what else is now possible with 3D printing. In some of my own designs, I have created objects with internal water paths that would be impossible to manufacture using drilling, injection molding or vacuum forming manufacturing techniques. "[E]conomies that rely on cheap factory labour to make things like clothes and toys may find themselves in deep trouble," says the AFP article. Indeed, 3D printing will eventually make a very large sector of retail sales utterly obsolete. As a great example of this, when I recently purchased the FlashForge 3D printer, I found that the spool holders on the back of the printer were too large to fit the smaller spool holes in the spools for the t-glase filament that I was using. So what did I do? I quickly designed a replacement spool holder and printer it using Colorfabb XT material, and it's now holding the t-glase spool. Instead of buying this part, I simply made it myself. The black object in the photo is the original spool holder that comes with the printer. The white object is the custom spool holder I designed (in about two minutes) and printed (in about an hour). Inside that is a 1/2-inch PEX pipe that I'm using as a spool rod. 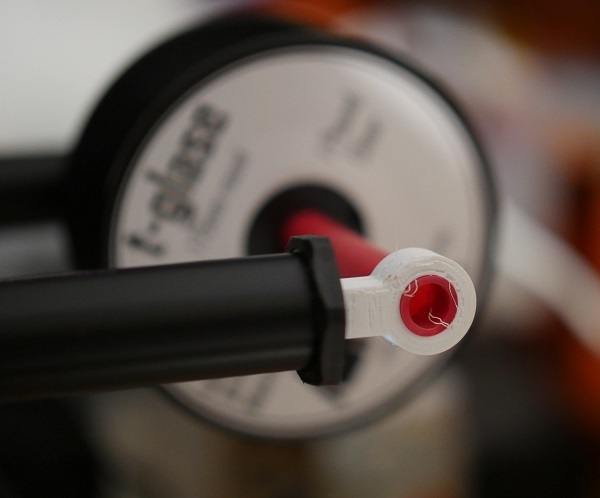 The t-glase filament spool is in the background. 3D printing allows you to think of an object and then create it, bringing it into the physical world in a matter of minutes or hours. This technology has revolutionized my own thinking about what's possible. It has given me a new tool to use for mass empowerment of the People in a world where corrupt governments and evil corporations are desperately trying to take away your power. The best way to think about 3D printing is that it changes the rules of the game. 3D printing is a so-called "disruptive technology," in much the same way that the invention of the musket was a disruptive technology that spurred a whole new age of revolutions and egalitarian systems of common law (i.e. democracy). When power is distributed into the hands of many (instead of concentrated in the hands of the few), freedom naturally follows. That's why 3D printing is such a freedom-promoting technology... and it's also why the criminally corrupt governments of the world are so freaked out about 3D printers and are desperately working on ways to try to outlaw the printing of certain objects. After my Food Rising releases, it will be abundantly obvious to a whole new wave of people that 3D printing is a game changer on a whole new level. The practicality of the items that can be created with this technology is far, FAR beyond what most people are doing with it right now. This AFP article finally nails it, saying " The full implications are still hard to imagine." "It's the first time in a very long time that there's been such a radical shake up in industrial engineering," says Stevens at BAE. "We're not just improving things -- we're re-writing the rule book." That's exactly my point. It's refreshing, in fact, to see a mainstream media article that actually "gets it."